Gilding metal, 42mm tall, 31mm wide, slider fitting. A laurel wreath containing the corps monogram ‘ADC’, surmounted by an Imperial crown. 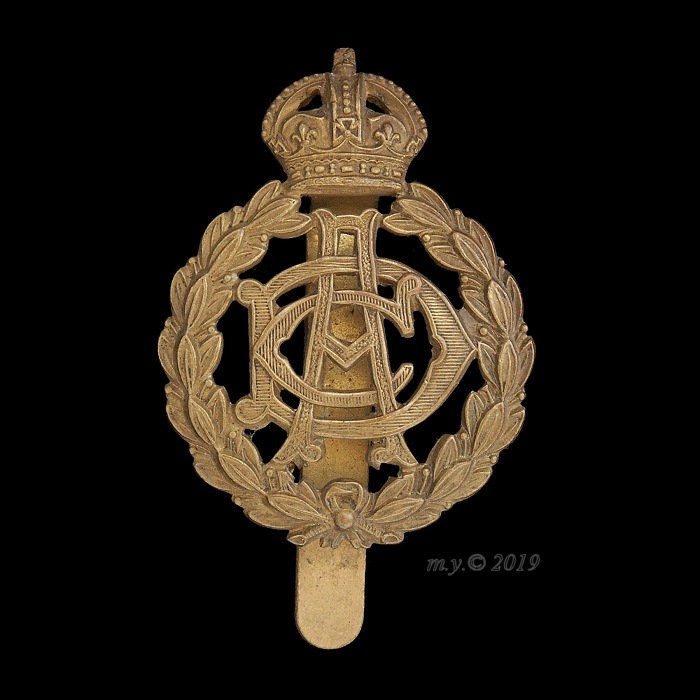 The Corps formed by Royal Warrant 4th January 1921. 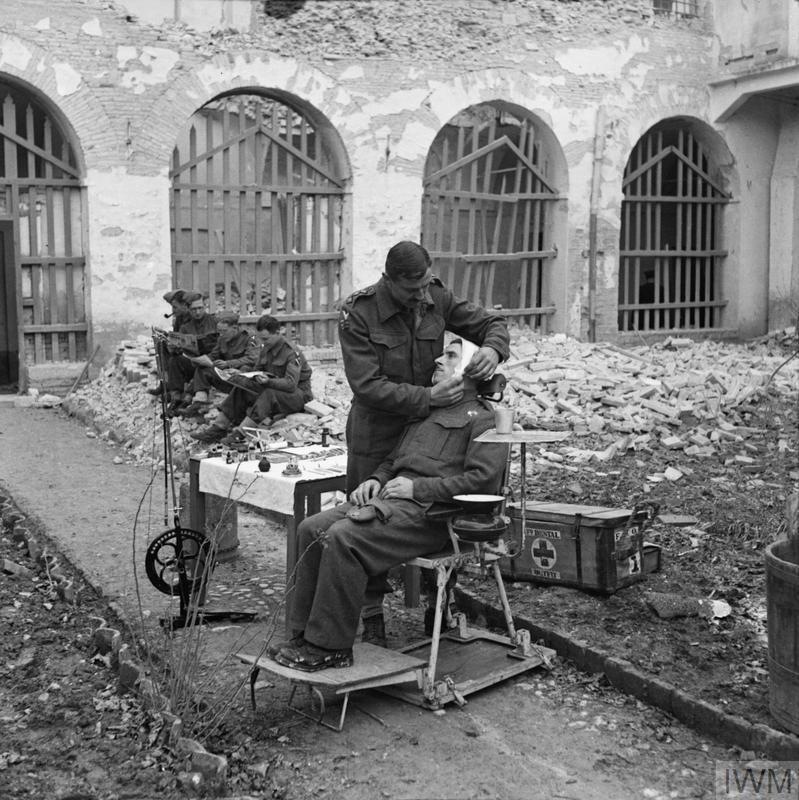 Prior to this army dentistry was carried out by the Royal Army Medical Corps dental branch. 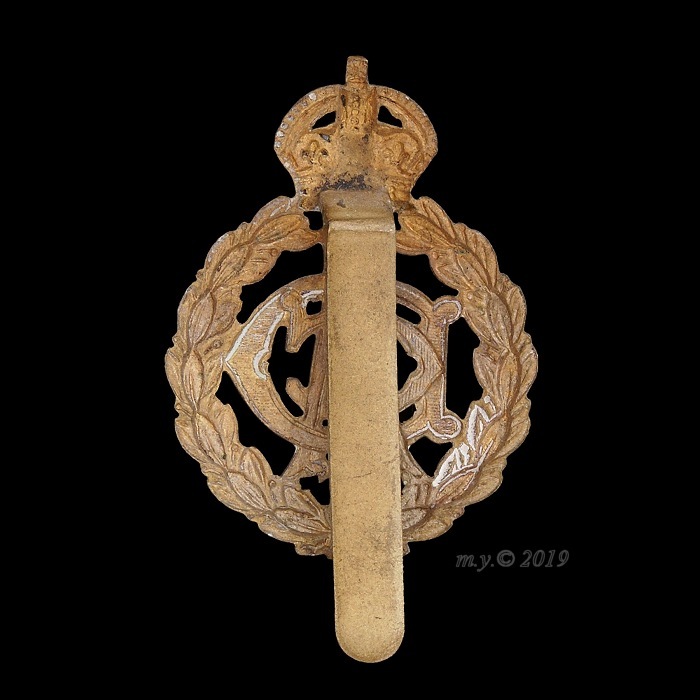 Granted the Royal prefix in 1946 for services in WW2 becoming the Royal Army Dental Corps. The corps badge was redesigned in 1948.